By rohitmssqlfun in CodeProject, Installation, SQL Server, Windows Cluster on August 4, 2014 . Hello. Nice article. I would like to point out that once you change the server name, do you also have to replace the old name in SQL jobs, SSRS. 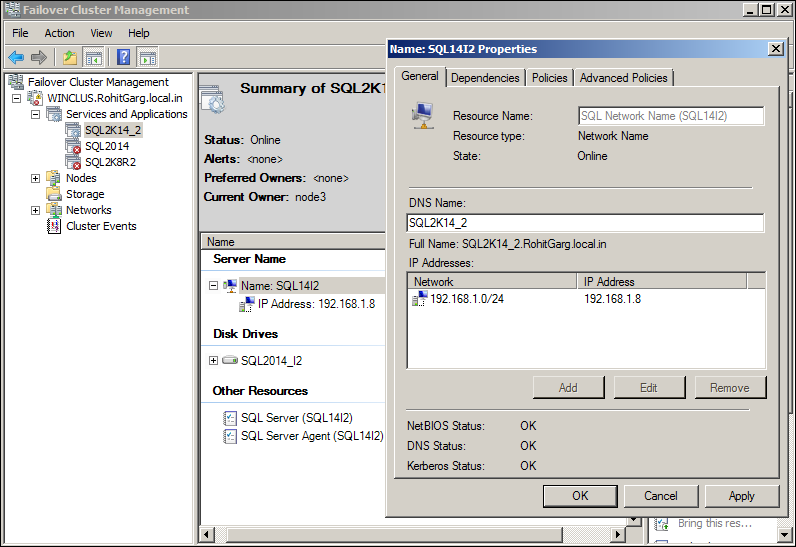 SSIS and SSAS? Yes, We need to update that.